We go on at least a couple of nature walks every year during the fall. 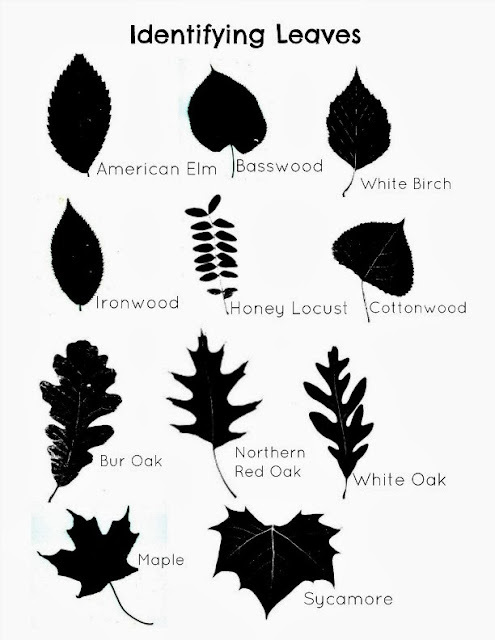 One will be in our neighborhood (our annual "leaf walk" in which we collect bags of leaves to craft with and press. The other is usually in one of our nearby Metroparks, where we'll walk the forest trail. I put together this little printable of silhouettes of common Michigan trees to help my kids learn to identify different kinds of trees via their leaves. I hope you find it helpful! Right now, it is formatted to be printed onto an 8.5 by 11 sheet of paper. We laminated ours so we could use them again this year. Enjoy! It's been a few months since I've posted here. It's been one of those periods of our homeschooling life in which we've made adjustments, learned to do things a new way. Maybe I should back up, just a little. As I've mentioned before on this blog, we followed a fairly Classical homeschooling method. We did copywork, aligned our reading with our history, did writing out of the "Writing Strands" workbook series. I did all of these things because they were what others recommended. Others had succeeded with them, so they must be the "right" way to do it, right? But I forgot the #1 reason we wanted to homeschool in the first place: to give our kids the chance to fully BE themselves. To give them the time and opportunity to explore and develop their passions. To keep their curiosity about the world intact. And I realized, around December or so, that what we were doing was not meeting those goals. My kids were not excited to begin the school day. Here they were, working in workbook after workbook, spewing someone else's thoughts back to me in the hopes of getting the answers "right." This was not what we wanted. 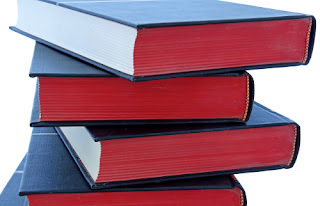 I am not knocking the use of workbooks, or Classical homeschooling, or anything else. As I've said a million times, homeschooling is a very personal thing. What works for one family will not always work for another. Many homeschoolers thrive on Classical homeschooling, but as a whole, it wasn't working for us. It was time for a change. So, we changed. The great thing about homeschooling is that you can take bits and pieces of different philosophies and smash them all together in one crazy conglomeration that eventually comes to be YOUR homeschooling method. Right now, ours is kind of a crazy mix of Classical, unit studies, and unschooling. It might look haphazard to an outsider. Heck, it looks haphazard to me sometimes! But it works for us. I've kept the things I loved about Classical homeschooling. We do spelling and grammar as they recommend in "The Well-Trained Mind." The kids memorize poems. We do math every day, usually via a workbook and/or Khan Academy lessons. I deviate from Classical in the reading part of our homeschool. At this point, I just want them reading. I know: the argument for having them read the classics at this age is to inspire them to read a "higher" level of literature. You know what? They will do that in high school and college. Now, at this point in their lives, I just want my kids to fall inlove with reading. I want them to recognize books as the friends they are. I fell inlove with reading via Beverly Cleary, Judy Blume, and Carolyn Keene. I'd rather they love reading, than be able say that they've read all of the "right things." So, obviously, I don't tie our reading to our history anymore. Which brings us to history and science. We use a unit studies approach for these topics (bringing in the other subjects, such as reading, writing, and art, as well). Again, they'll learn about Queen Elizabeth I later on. Right now, they really want to learn everything on Earth there is to learn about horses, and cats, and meerkats, and lemurs. And you know what? It's FUN to learn about those things. We just did an entire month-long unit study on birds. It touched on every single subject, plus some. March is Horse Month, and we are all looking forward to it! The unschooling part of our homeschool philosophy is that we really tend to have short school days: three to four hours, tops. The rest of the day, my kids spend honing their own interests. Right now, the older girls are obsessed with Lego. They've built castles, vehicles, houses, playgrounds, diners, hospitals....mostly without any plans other than the vision in their minds. This is creative work. This is problem-solving. This is what I want for them. So this long post was really my way of saying: change is good. Following your heart, your goals for your family, is good. Your family is unique, and perfect in its own way. It will take some time, but you'll figure out your own way to homeschool. And, when you do, go for it -- that's what homeschooling is all about! I should probably start out by saying that this is not an unbiased review of The Christmas ABC Book. After all, the book was written and illustrated by my darling husband, and there are little jokes added to the illustrations throughout the book that only our family would know about. Now that that is out of the way: this is just a sweet little ABC book. If you have (or know) little ones who are starting to learn their letters, this would be a great seasonal treat for them. Each page has a simple sentence (you know how little ones love those -- they can "read it themselves!" after you've read it to them once or twice) along with a brightly-colored illustration. This light-hearted take on Christmas is sure to help keep younger kids interested -- and we could all use a few moments of quiet at this time of year, right? 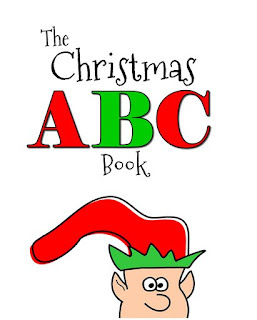 The Christmas ABC Book is currently available for the Kindle (best viewed on a Kindle Fire or via the free Kindle Reader software for your computer so you can see all of those bright colors.) And, if you're an Amazon Prime member, you can borrow the book for free through the Kindle Owners Lending Library. I also want to say, on a personal note, that I was able to see first-hand the work that went into this book. My husband's dedication to making sure that the drawings were perfect, that the tone of the book was light and fun --- it is something special to be able to witness the creation of a book like this, from the brainstorming phase to the writing and drawing, and right through to the moment it appears for sale on Amazon. This is one of those homeschooling issues that can drive you crazy, if you let it. 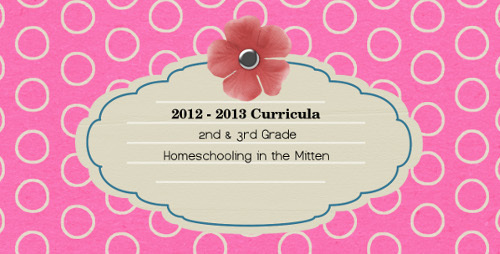 There are SO MANY options out there for homeschool curricula. You can choose an all-in-one, complete curriculum, packaged up and shipped right to your door. You can pick different curricula by subject matter, using one company's offerings for one subject, and another company's for something else. Or maybe you'll custom design your curriculum every year. The awesome thing about this, is that you get to choose exactly how your children are educated. The bad thing --- it can make you crazy (as noted above) and it can hit you hard in the wallet, especially if you buy something only to find out that it's not working out for you and your kids. If you read homeschooling blogs, pay attention to bloggers who have similar philosophies to yours. Which curriculum do they use? What books do they rave about? If you can attend a homeschooling conference, that's a great way to hear from different companies about their offerings. Many of them are Christian-based. If you are a Christian homeschooler, then, likely that is fine with you! But if you are a secular or non-Christian homeschooler, you'll have to judge whether you'll be turned off by the Christian leanings of these curricula or not. Packaged curricula are expensive -- the above packaged deals range from $500 to $2,000 per year, depending on company and grade level! The Well-Trained Mind (this is the curriculum we follow. You are responsible for pulling all of the materials together for your kids, but if you like a hands-on, challenging curriculum, this is the one. A final note: a lot of this process trial and error. Some things just won't work for your kids. It's frustrating, but the great thing about homeschooling is that we can be flexible and ensure that our curriculum really works for our kids. Don't get discouraged -- just try, try again! This post is part of my 31 Days of Tips for New Homeschoolers series! It ensures that you don't get into trouble -- who needs the hassle? It gives you peace of mind going forward. You know exactly what is expected of you and your family, and you can plan accordingly. 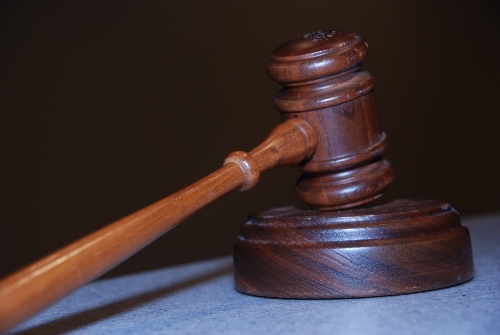 An even easier way is to go to the Homeschool Legal Defense Association (HSLDA) site. At the bottom of the page, click "my state", then "laws." Click on your state on the map, and another page will come up. Each state has a very useful link named "A Legal Analysis." This explains, in plain English, what your state homeschool laws mean for you. For example, here in Michigan, we have things pretty easy. We do not have to notify anyone about our intent to homeschool. We do not have to submit lesson plans, attendance records, or test scores to anyone. How we educate our children is entirely up to us. This gives us a wonderful amount of freedom in choosing a yearly school calendar and curriculum. No matter which state you live in, though, learning how to comply with the homeschool laws is absolutely necessary. It's much easier to jump through any necessary hoops now than dig yourself out of possible trouble later on! Every day this month I'll be posting a helpful tip for new homeschoolers. The posts will all be collected right here as I work my way through the month, so it will be easy to find a post if you want to read it again later. I hope new (and prospective!) 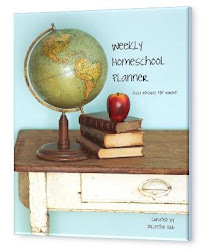 homeschoolers find this information helpful. Day Four: How Much Time Per Subject? Day Thirty-One: You Can Do It! Find more 31 dayers over at Nesting Place! I can't believe I have a third grader. When did that happen? Yes, curriculum. Here's what we're using. For the most part, Pooks and Sauce do the same things for history, science, French, grammar, and math. Spelling, reading, and writing are all subjects they do at their own pace. Reading: I've said before that we generally follow the Classical education model outlined in The Well-Trained Mind. However, reading is one of the areas in which we deviate from a strictly Classical approach. I may mix in some readings that tie into our history study, but for the most part, I've come up with a reading list for each of my older girls based on quality children's literature. Pooks' reading list is mostly comprised of novels, such as Trumpet of the Swan, Black Beauty, Through the Looking Glass, etc. The Story of the World Volume 3: Early Modern Times -- This is our first year using Susan Wise Bauer's Story of the World series, and I'm looking forward to it. Many of the topics in Bauer's book will be supplemented by books from the library as well. Math is something that I want them to become fully comfortable with, so it doesn't become as stressful as it was for me throughout school. I am letting them work through it at their own pace, and at this point, we're using a combination of workbooks and Khan Academy, as well as games and activities to reinforce math concepts (I found several good ideas in the book Family Math that we will be using this year -- definitely worth a look if you want to work more math into your day-to-day life!). Music Appreciation: We'll be listening to a different composer each week. Nature Study: Sometimes, this will be worked into our formal science study, but in general I want to make nature study something we do more regularly. I'm making each Little a binder full of practice sheets in page protectors (I'll pull together a list of what I'm including) to be their quiet work, since they want to "do school" now, too. They can work in the binders while I'm busy with the older girls. The bulk of our activity will be reading, reading, reading! We'll also be playing games, doing experiments from Mudpies to Magnets, and covering the main topics in What Your Preschooler Needs to Know. At this age, I really believe that they should be engaged in free, creative play. So, that's the plan! I am ready to go, and the kids are excited to start school as well. 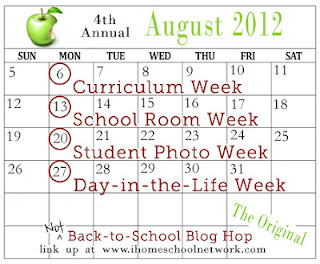 I'm linking up to the NOT Back to School blog hop over at iHomeschool Network! Follow Homeschooling in the Mitten!